Eternal Orthodox Church calendar for the 01.08 year 2017. The eldest sister of St Basil the Great and St Gregory of Nyssa, she was as a girl betrothed to a young nobleman and, when her betrothed died, Macrina vowed never to enter into marriage, saving: "It is not right for a girl, having once been betrothed, to turn to another; according to natural law there must be one marriage, as there are one birth and one death." She justified this by her belief in the resurrection of the dead, regarding her betrothed not as dead, but as alive in God. "It is a sin and a shame", she said, "if the spouse does not keep faith when the partner goes to distant climes." Then, with her mother Emilia, she became a nun in a monastery of virgins, where she lived in asceticism with the other nuns. They lived by the work of their hands, devoting the greater part of their time to pondering on God, to prayer and to a ceaseless lifting-up of their minds to Him. After a time, her mother died, and then her brother Basil. In the ninth month after Basil"s death, Gregory came to visit his sister and found her on her deathbed. 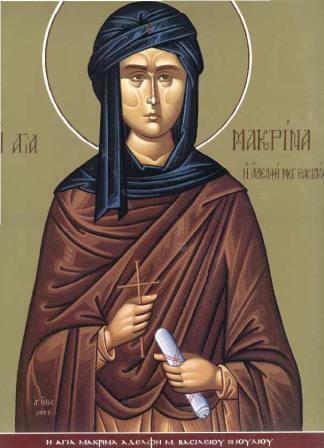 At the time of her death, Macrina made this prayer to God: "Thou, O Lord, givest rest to our bodies in the sleep of death for a little time, then Thou wilt waken them again with the Last Trump. Forgive me, and grant that, when my soul is parted from my body, it may be presented before Thee stainless and without sin, and that it may be as incense before Thee." She then made the sign of the Cross on her brow, eyes, face and heart, and breathed her last. She entered into rest in the Lord in 379. Born in Syrian Antioch of Christian parents, he was trained in his youth by godly men for the ascetic path of monasticism. He endured a lengthy and hard struggle with the devil and with fleshly lusts, and God rewarded him with great wonderworking gifts. In his prayers, he most frequently turned to the Holy Trinity. He worked great miracles by the power of his prayers, making a dry stick bud forth, a dry well fill with water and an unbelieving man die and return to life. 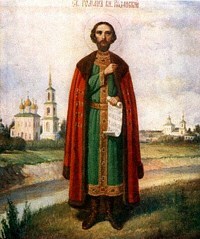 After a twofold heavenly vision, he left Antioch and moved to Constantinople, resuming his ascetic life near the city. 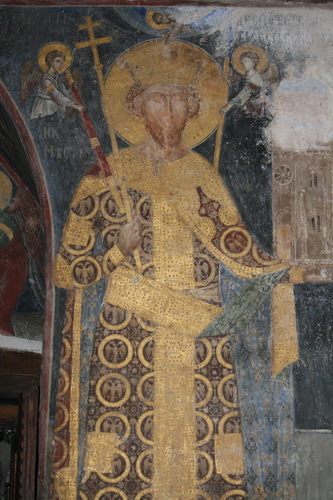 His fame quickly spread, to such an extent that the Emperor Theodosius the Younger paid him a visit to ask his advice, and Patriarch Atticus was impressed by him and ordained him priest. Having lived many years, he prepared for death, received Communion, gave his last teaching to the brethren, lay down on his bed and, to the eyes of all, was dead. 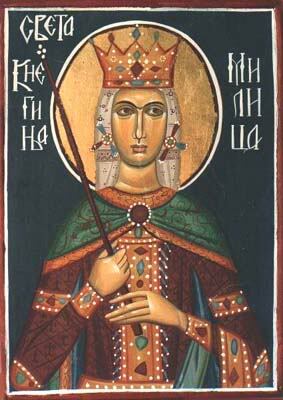 The news of his death brought many people: Patriarch Atticus came, with Patriarch Alexander of Antioch. But, when they went to bury him, he suddenly got up as if waking from sleep, and said: "God has given me fifteen more years of this life." St Dius lived exactly fifteen years longer, and set many on the way of salvation, healed many, gave aid to many in divers needs and weaknesses, and then finally gave his soul to the Lord whom he had served faithfully all his life. He entered into rest in 430, in great old age .